A combo bargain not to be missed. Here, you're getting TWO Anderson AOR Upper Assemblies, one in 5.56 NATO and one in 300 BLK, plus one Bolt Carrier Group and one Charging Handle that can be used on either Upper. Anderson employees are experts in the shooting industry and bring years of experience to each and every product that bears the Anderson mark. They understand as much as you do about the importance of precision and reliability, which is why this Upper is the right choice for your next custom rifle project. Anderson AOR 16 Barrel Complete Upper Receivers, 5.56 NATO/.300 AAC Blackout, Set of 2 is rated 5.0 out of 5 by 1. Rated 5 out of 5 by Weapons Hog from Perfect Combo with the Perfect Price! Excellent quality! Both uppers shot great groups, using hand loads The 5.56 upper loved the Hornady 60gr.VMAX. No issues to address on the 300 Blk Out. Still need to shoot Sub sonic ammo. Very happy with this combo. 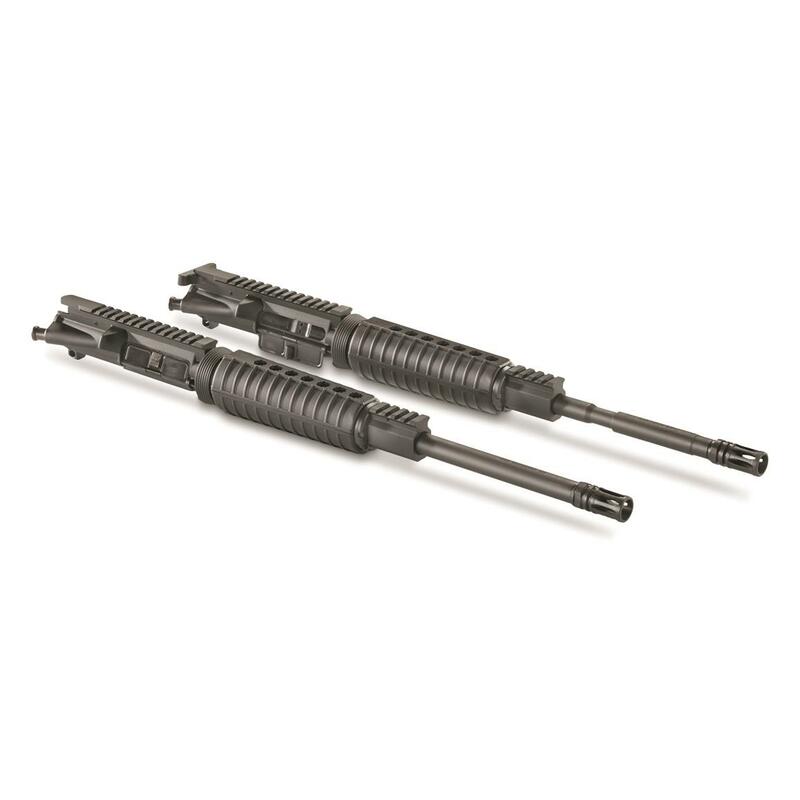 Can be used with 5.56 NATO/.223 Rem., 300 BLK, 6.8 SPC, etc. Expertly machined and finished to start your gun project right.